The Funky Chicken Hostel is strategically positioned, everything is nearby, the Old Town where the Bucharest tourists can club, the monuments, parks, shops, restaurants, and the Gara de Nord Railway Station are in less than 15 minutes walk. 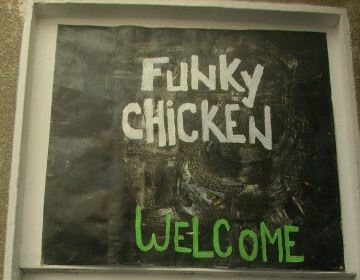 Bucharest Tips team has reviewd Funky Chicken Hostel - Hostels in Bucharest. You can get here description, reviews, address, map, phone, website of Funky Chicken Hostel in Bucharest. Visit Buchareset Tips for more Hostels in Bucharest!